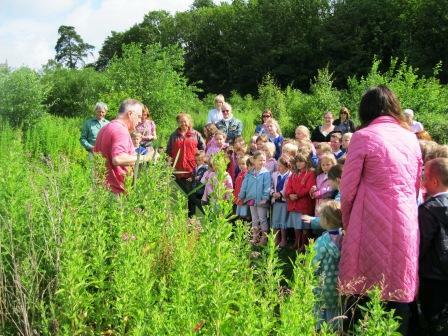 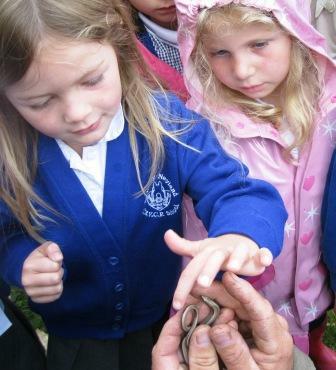 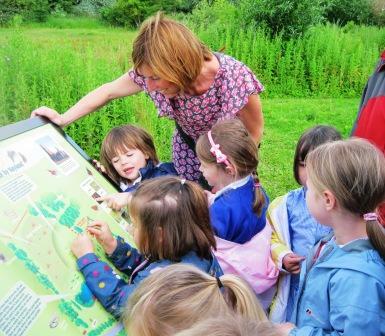 Rowley Wood (formally known as Cherry Wood) is a Community Woodland in Stoke by Nayland, run by an elected steering group for the benefit of the local community and as a resource for local schools. 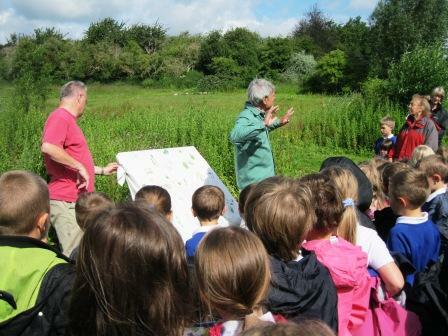 The group has adopted a code of practice, which includes no spraying, using and developing local skills and planting locally indigenous species wherever possible. 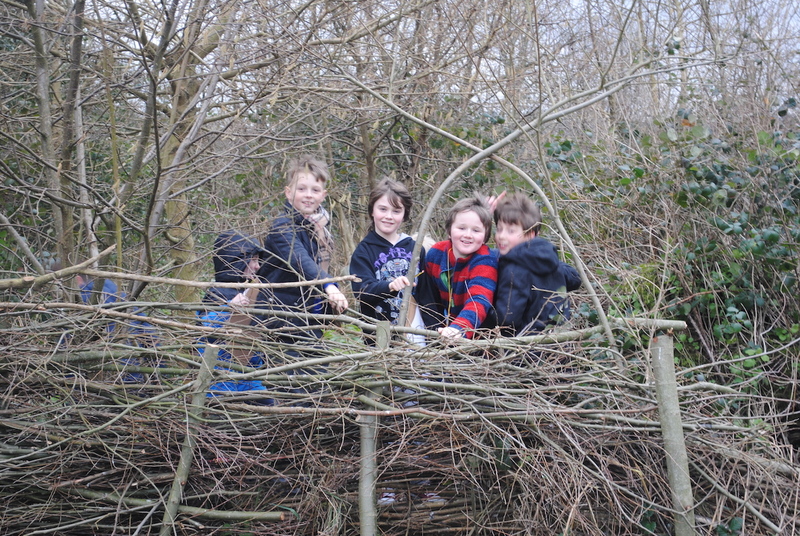 It was established in 2001 when the group purchased a degrading cherry wood. 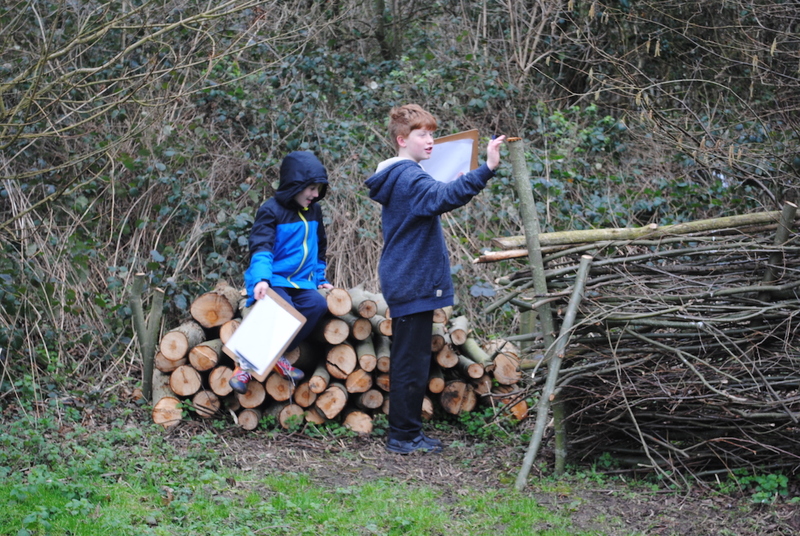 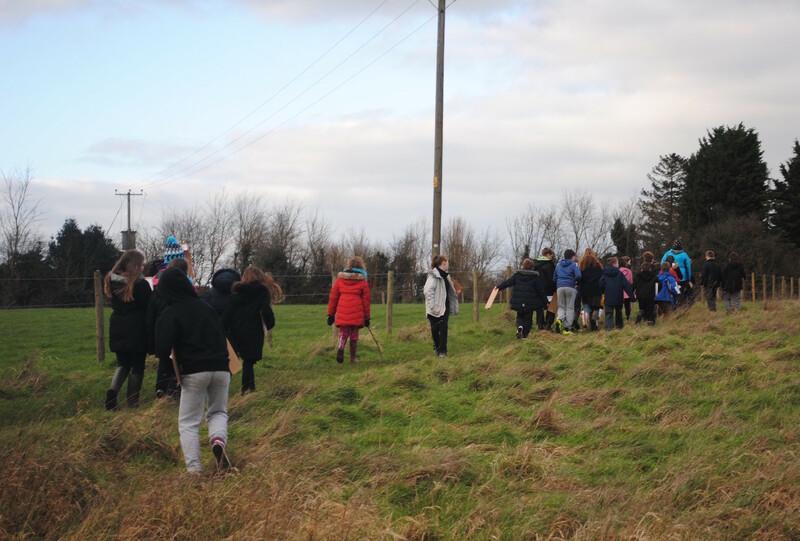 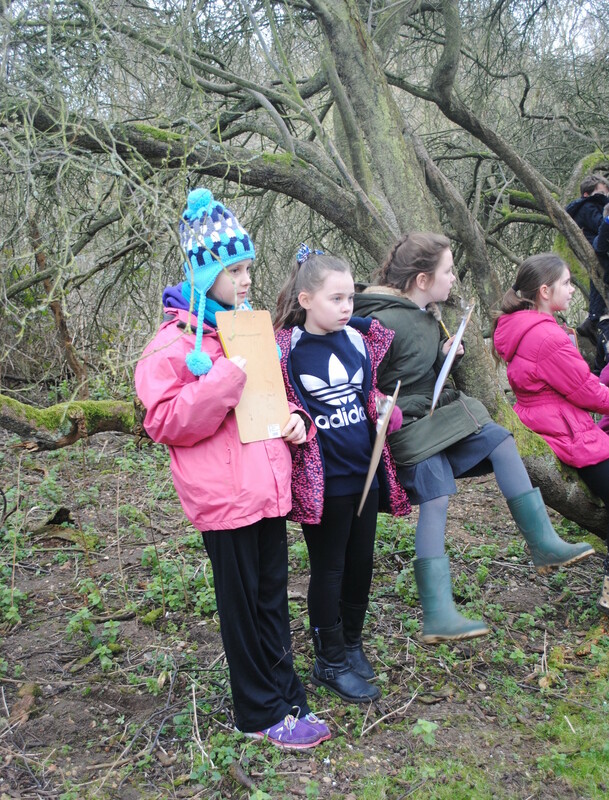 Since then the group has gone from strength to strength, to include: creating a tree nursery, planting indigenous species in the wood, creating reptile refuge, a story telling area, bird feeding station and actively involving our primary school. 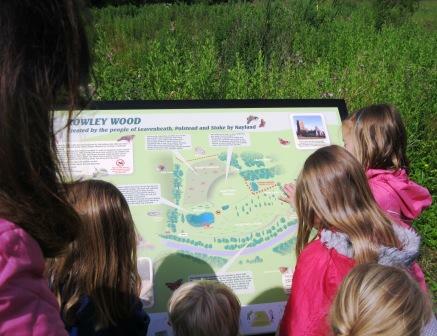 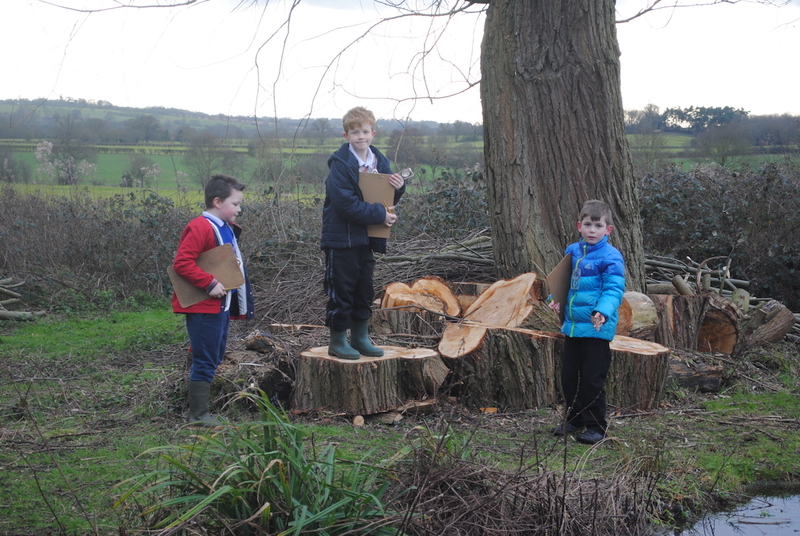 Rowley Wood provides an excellent resource for our work in orienteering and environmental science. 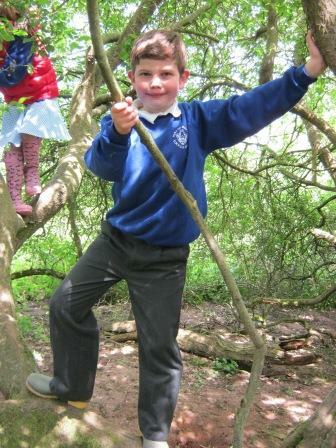 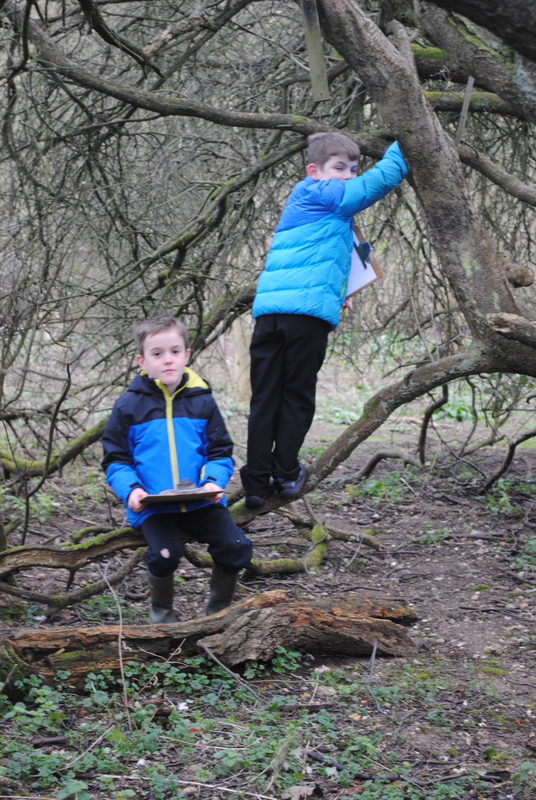 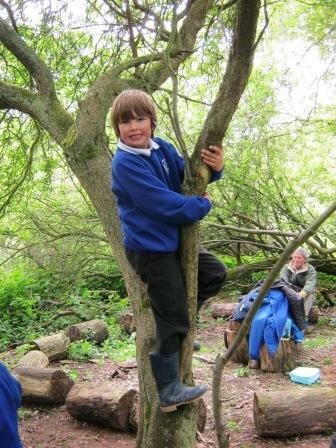 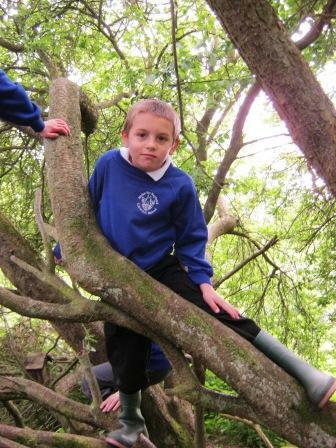 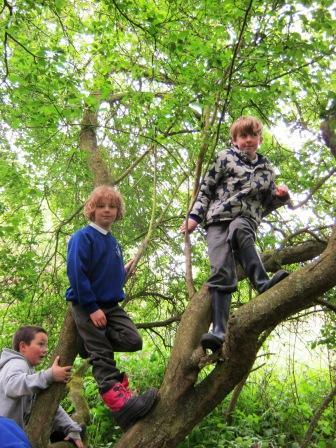 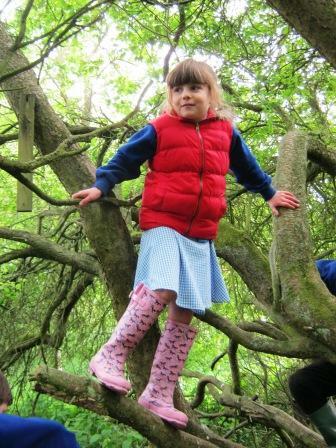 Oaks and Silver Birch classes went to Rowley wood for a picnic and to climb trees. 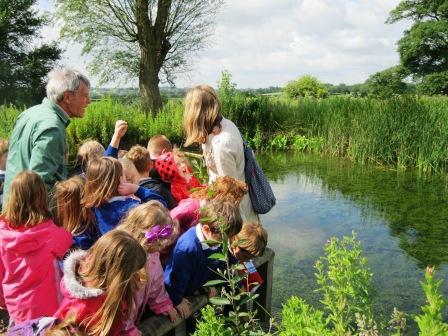 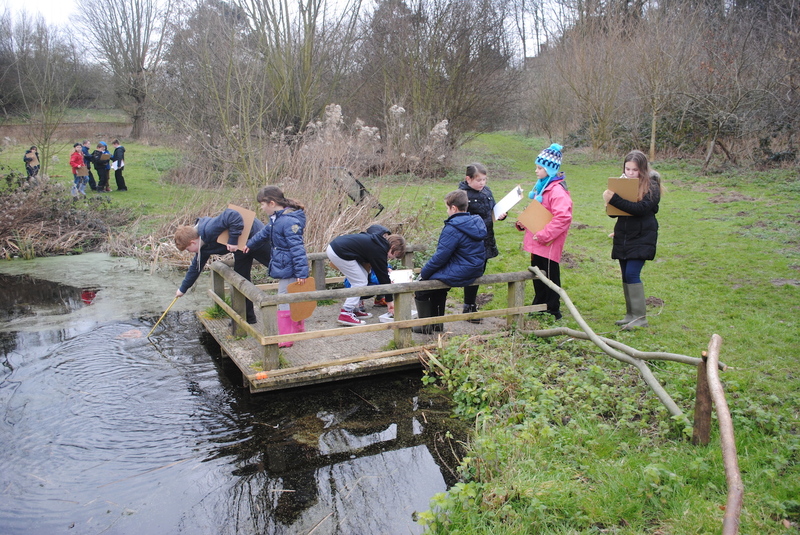 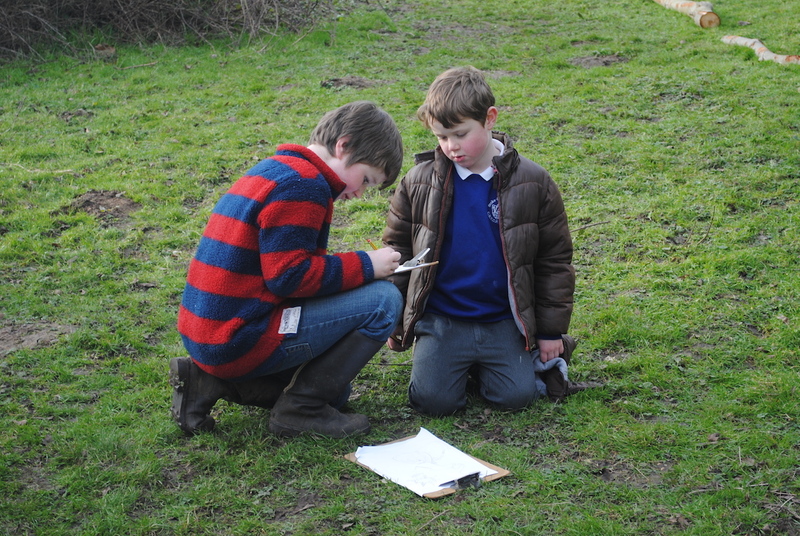 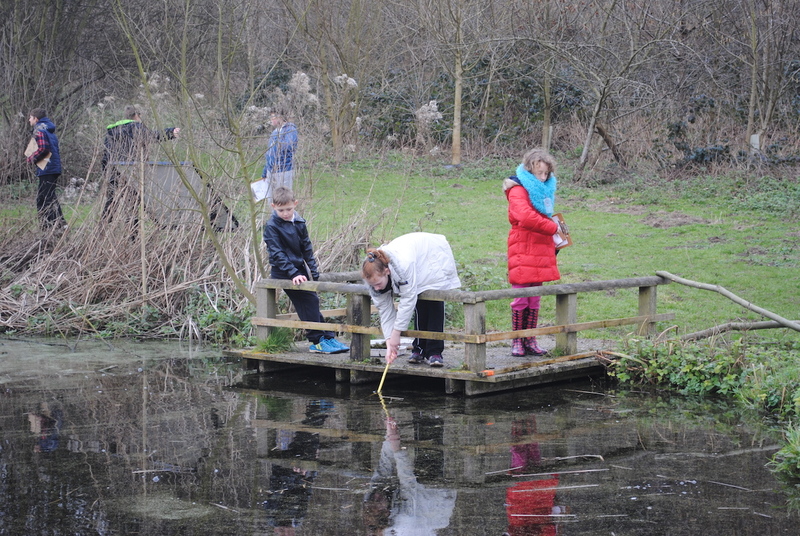 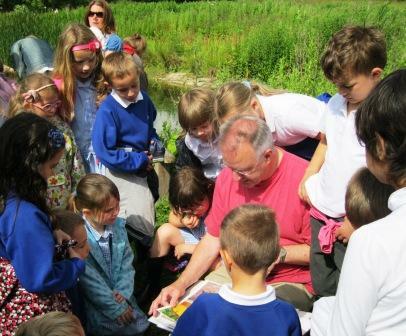 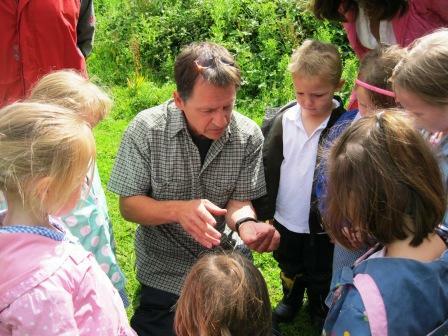 After that we looked for insects and pond creatures. 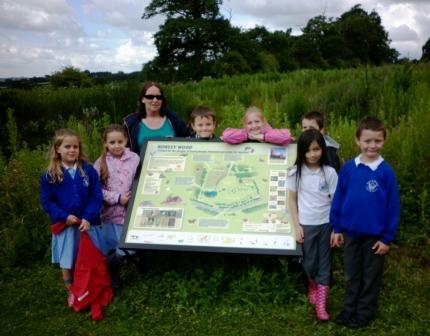 Unveiling of the new concept information board. 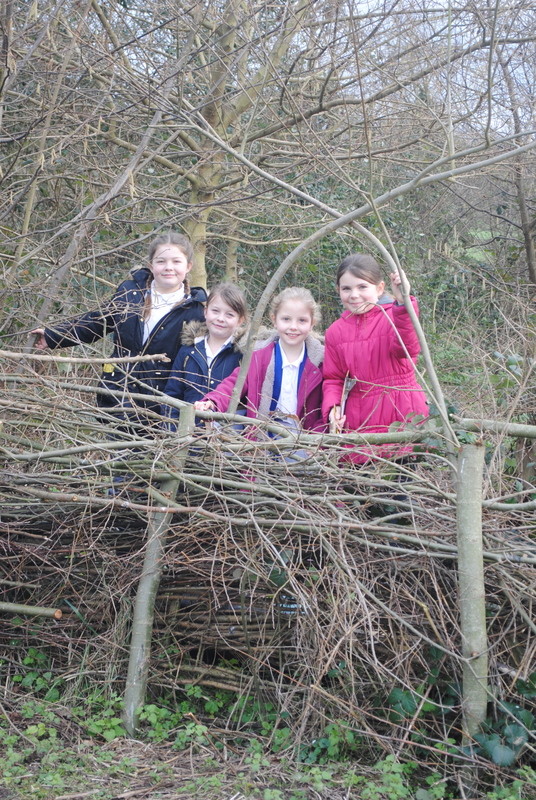 Children from our school had designed some pictures for the border.